While Pineapples seem to be the “on trend” fruit of the moment. They will always be a classic & welcoming addition to this Southern Household. Whether traditional in brass, more modern in ceramic or painted in watercolors, these tropical fruits easily blend into almost any decor. 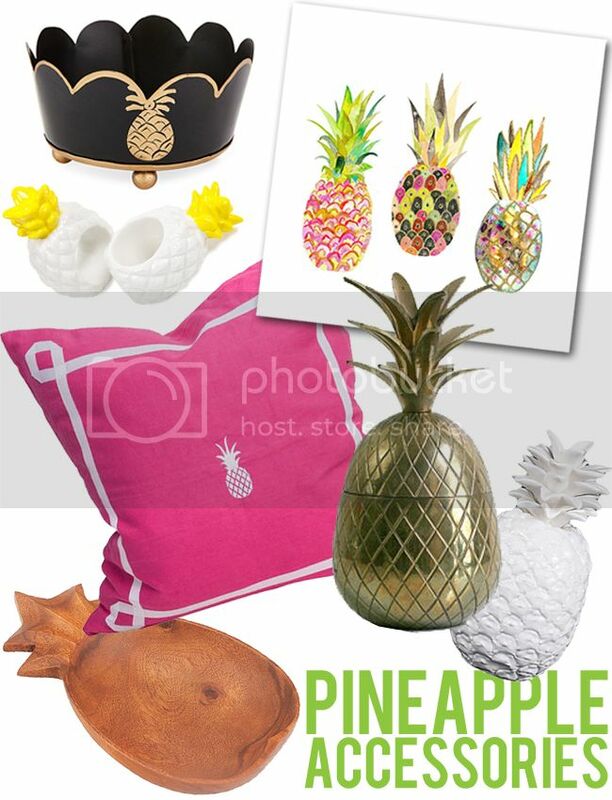 To keep the look more eclectic & less aloha keep your pineapples to a minimum. A little goes a long way. Hope y’all are having a stellar Thursday! I know I did thanks to an hour long massage. so needed that. I’m going to go play with some cocktails for a fun post coming up next week! So stay tuned. 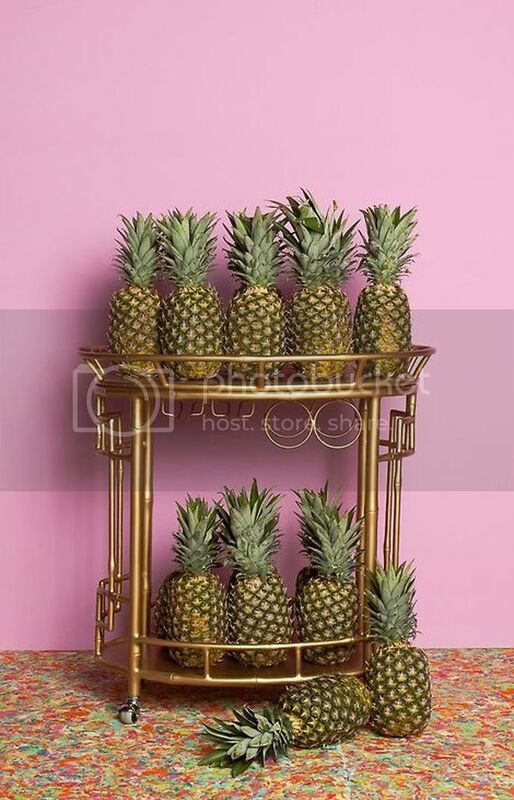 There can never be too many pineapples in a house in my opinion. Great round up. I’m loving the pineapple trend…I just bought some pineapple coasters. So fun! Ugh, I'm really digging the pineapple trend these days. And it so perfectly goes hand in hand with spring! Beautiful pieces. 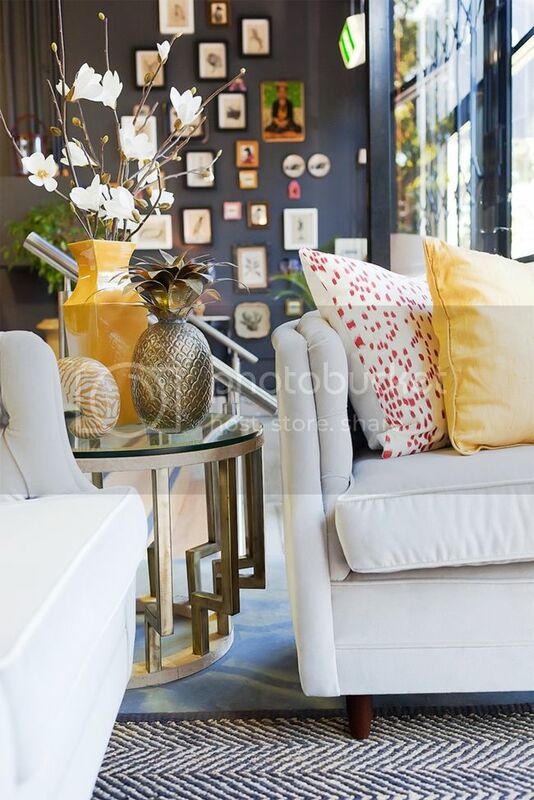 I just about jumped when I saw Kimberly's living room picture in your feature! Eeep! Blogette holla – go Kimberly! Her home is so yummy to my eye balls. 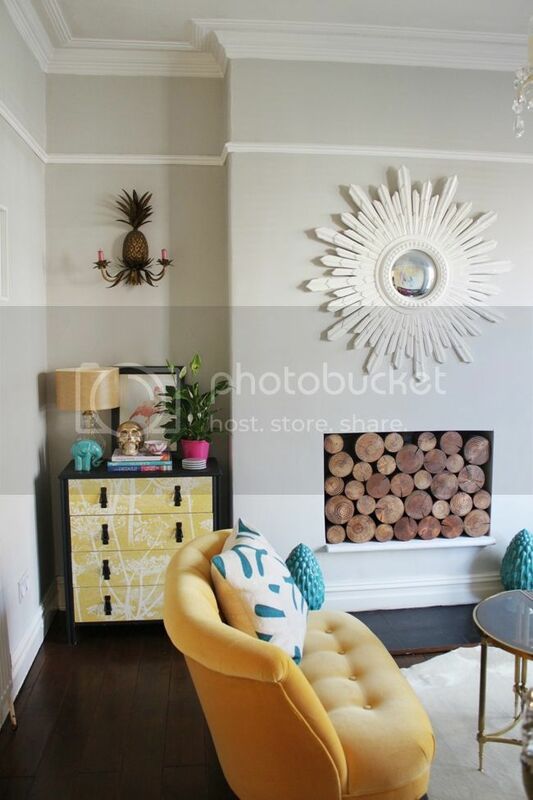 Oh my god, I just did the same thing as Alex and jumped when I saw my living room on your blog! Ha! Of course, I don't mind you using my image but if you could please link to my blog, that would be great. http://www.swoonworthy.co.uk 🙂 Thank you! Total blonde move. Must have been too relaxed after that massage! Link has been fixed!!! Kimberly!! The link is repaired!! I apologize for that. Love love love your space my dear! 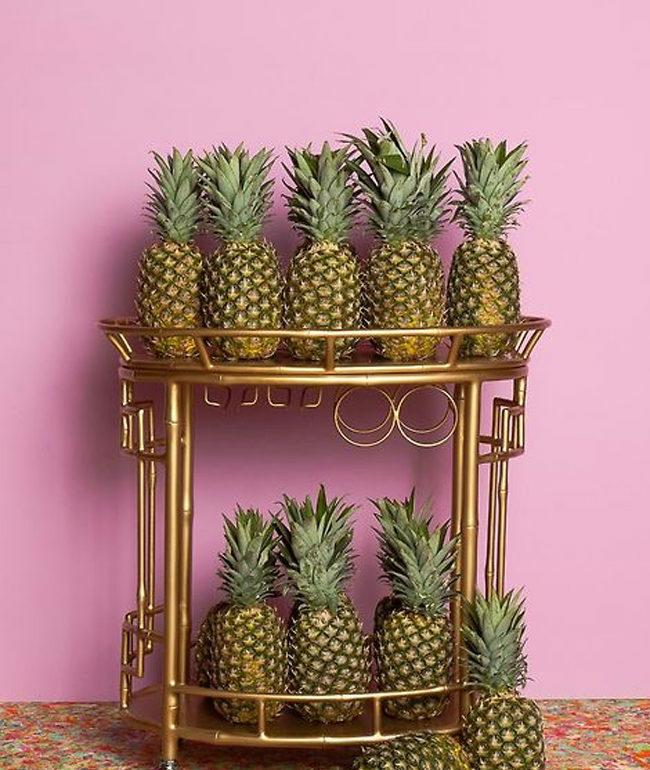 I had no idea pineapples were on trend, but I bought some vintage stamped silver pineapple coasters at the flea market a couple months ago, and I do love them! You blow my mind! Thank you for the tutorial. 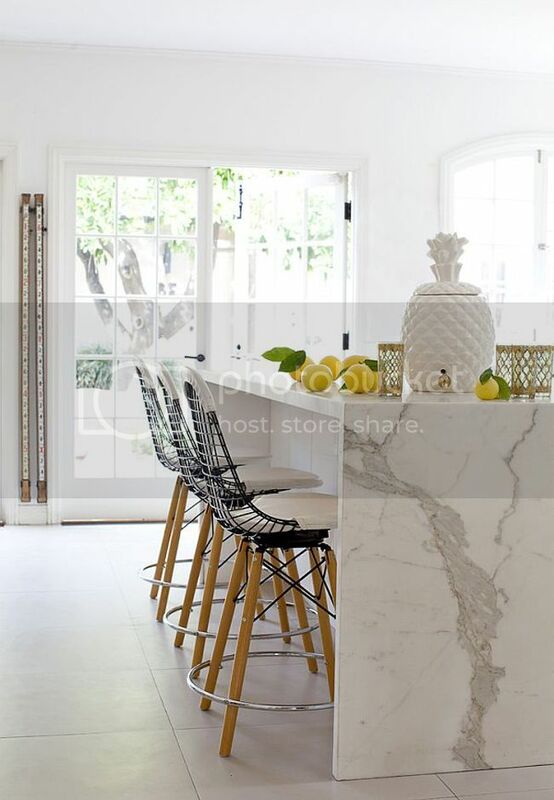 I saw some lovely chairs online and I thought that it was to difficult and that I needed to hire somebody to do this. But…I'm going for it! My favorite pineapples were at the front entries of old houses in the Bahamas. So unexpected to see these upright and proper homes, with fruit at the formal driveways or front gate.